The traditional employee feedback survey is a valuable mechanism for measuring metrics like engagement but they won’t tell you why your people think and feel the way they do. Without the ‘why’, you don’t have the necessary insight to effect meaningful and positive change that is aligned to your corporate goals. 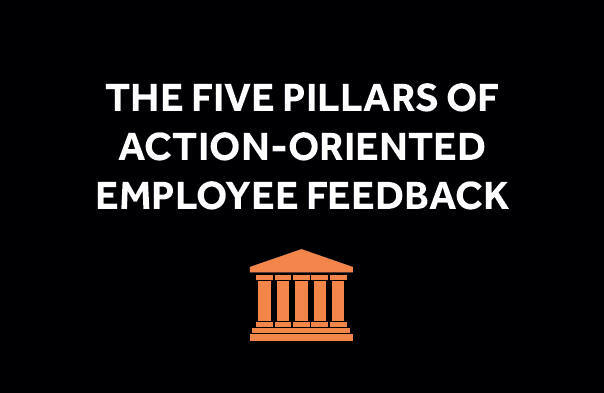 We’ve produced a free guide that sets out a new approach – our 5 pillars of action-oriented employee feedback. It’s designed to help you get the insight you need, faster and more effectively than traditional employee surveys alone.